Based on the Alumni piece Now and Then, performed with the Youth Ballet Company of Saskatchewan (Fall 2017), Interlude is a reflection on the coming of age process. It explores the struggle of finding your confidence and discovering a sense of self, and celebrates the uncertainty of the transition to adulthood. Natasha Molnar-Fluter has performed in the Secret Garden Tour 2017, 2016, 2015; the Shakespeare on the Saskatchewan’s For the Love of Dance 2016; Stream of Dance Festival: New Works Regina 2016; The Blanket Folding Project 2016; Rael’s Journey 2015; Sixty/Forty: Recent Works by Connie Moker Wernikowski 2014. She is a former member of the Youth Ballet Company of Saskatchewan, which provided the opportunity to perform throughout Saskatchewan, Edmonton and Scotland, and most recently as an alumnus in their 2017 Dance Me a Song. Natasha is currently finishing her BSc in Mathematics at the University of Regina. ​Carleigh Macdonald: While a member of the Youth Ballet Company of Saskatchewan, Carleigh performed in Edmonton, Regina, Saskatoon, Moose Jaw, and Aberdeen, Scotland. Since graduating from the school, Carleigh has participated in projects with local artists including Connie Moker Wernikowski’s New Dance Horizons show, Sixty Forty; Johanna Bundon’s Globe Theatre Sandbox Series production of Rael’s Journey; as well as works by Caitlin Coflin, Johanna Bundon, and Bee Pallomina. She performed in Connie Moker Wernikowski’s Our Mandalas in last year’s NDH’s Stream of Dance Festival as well as part of Shakespeare on the Saskatchewan’s For the Love of Dance. Upcoming works include collaborations with Connie Moker Wernikowski, Toronto’s Karen Rose, and the Youth Ballet Company of Saskatchewan. Carleigh is currently an English major at the University of Regina, as well as an instructor of ballet and modern dance at Youth Ballet and Contemporary Dance of Saskatchewan. Calling Stone follows Give me the Taste of Earth, a sketch performed at NDH's 2015 Blueprint Series. These sketches are preliminary explorations into relationship with various earth forms. Soil was the working partner for Give me the Taste of Earth. Stone is the influence for this recent sketch Calling Stone. Both will be integrated into a larger work to be developed over the coming year. Tina Bertoncini | Photo Credit: Morgan Tannis. Tina Bertoncini lives in Saskatoon. Her dance practice is fed by her interest in the integration of somatic type techniques, contemporary dance, and human development. She has been actively developing and teaching modern dance and creative movement for children of all ages. She has recently been studying the Laban/Bartenieff method with Donna Redlick. Morgan Tannis has studied the trombone and percussion for the past 7 years. He plays with the Saskatoon Youth Orchestra, the Saskatoon Youth Jazz Orchestra, the Bridge City Brass Band and his jazz combo, Underline. Underline has performed at Saskatoon’s jazz club, the Bassment. He will be embarking in music studies at Humber College in Toronto in the fall. I have created and rehearsed to the sound of his words, allowing the vibration of his voice to generate the rhythm and pulse of my movement, my stillness and my breath. I honour the many people who these words have inspired to work for social justice. Karen Rose is a choreographer, dancer, actor, director and teacher. Since receiving her Bachelor of Arts in Dance from Simon Fraser University, her work has taken her across Canada and Europe. Most recently she has presented the Remembrance Solos for The New Music and Dance Project in Regina. Her choreography has been presented in festivals such as The Vancouver International Dance Festival, The Dancing on the Edge Festival of Contemporary Dance (7 seasons), The Guelph Contemporary Dance Festival and festivals in Montreal, Calgary, Ottawa, and The Edinburgh Fringe Festival. As well as other independent theatres and venues across Canada, the UK, and Australia; and in films, videos, plays, and musicals. Full evening presentations include Tangente and New Dance Horizons. Commissioned work includes Spirit Song Native Theatre Company, and The YBCS. Ms. Rose has performed with include Kokoro Dance, Mascall Dance, La Compaigne Monique Giard, EDAM, Harupin Ha, Dancetheatre David Earle, and The William Louther Dance and Theatre Co. She has also worked with many notable independent choreographers, directors, and artists. Ms. Rose has recently directed her first dance film, ʻHelenka.ʻ Screening highlights include Dance for the Camera (NYC), Sans Soucci Festival of Dance Cinema (Co), MADdance Screen Salon (To), Sao Carlos Video Dance Festival (Brazil), and Reeling Dance on Screen (Ed). Libretto is the third study in voice and movement in the research I have doing on the the sound of a movement. I made phrases expressing sounds that came as a result of the movement without music and through a kind of gibberish. I taught the phrases to the dancers and then took rhythm patterns from musical theatre which I felt invigorated the air by themselves through their balance of voice and rhythm and used them to order these visceral phrases. Jennifer Mascall is a choreographer of over 200 dances, teacher, mentor, and an advocate for the art of dance. She is currently the artistic director of her own creation based company in Vancouver, MascallDance. 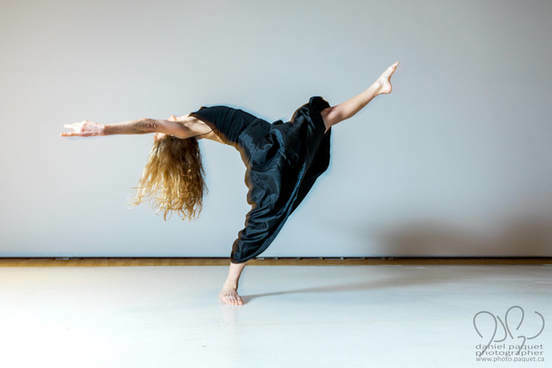 Mascall has established choreographic and somatic training contexts, in which she offers research infused with her studies with master teachers Bonnie Bainbridge Cohen and Linda Putnam. Jennifer Mascall pursues understanding and its reflection through crafting moving landscapes. Her long fascination with the boundary between one form and another leads to making endless physical dialogues, most recently with architects, videographers, and writers. The School of Contemporary Dancers, led by Co-Directors Odette Heyn, C.M. and Faye Thomson, C.M., is recognized as a leading national centre for professional contemporary dance training in Canada. The School’s Professional Program is renowned across the country for the excellence of its training methods and high calibre of its students and graduates. This solo dance originally created for Sharon Moore is performed to a series of satirical musical compositions, created in Germany between the two World Wars and capture the tone of social decadence that characterized these times. Rachel Browne was one of the founders of modern dance in Canada and founder of Winnipeg’s Contemporary Dancers, the first Canadian modern dance company. Rachel served as the company’s Artistic Director, resident choreographer, and teacher for over 20 years. Her work was instrumental in the development of modern dance in Canada and by 1970 she had brought Winnipeg’s Contemporary Dancers to national recognition. In 1972, she founded the School of Contemporary Dancers, renowned as one of Canada’s foremost professional modern dance training programs. Rachel’s outstanding achievements have been honored through numerous accolades and awards. 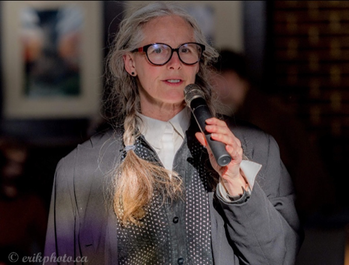 Rachel became a Member of the Order of Canada in 1997 in recognition of the significance of her leadership in establishing and developing modern dance across Canada. She was awarded the 1995 Jean A. Chalmers National Dance Award for Creativity in Dance, the 2000 Canada Council Jacqueline Lemieux Prize, and the 2001 Manitoba Arts Council Great-West Life Lifetime Achievement Award. In her honor, Winnipeg’s Contemporary Dancers renamed its performing venue The Rachel Browne Theatre in 2008. Rachel’s biography, Dancing Toward the Light, by acclaimed dance artist and writer Carol Anderson, was published in 1999. The documentary, A Good Madness: The Dance of Rachel Browne, by filmmaker Danielle Sturk was released in 2014. "Through her abiding devotion to her art, Rachel Browne has come to stand as a moral force in Canadian dance. Singular in her courage, her intrepid determination, her discipline, and in what at times has been sheer bloody-mindedness, throughout her dance career in Canada she has been a trailblazer." —from Grant Strate’s Foreword to Carol Anderson’s Dancing Toward the Light. Note: These satirical musical compositions, created in Germany between the two World Wars, capture the tone of social decadence that characterized these times. 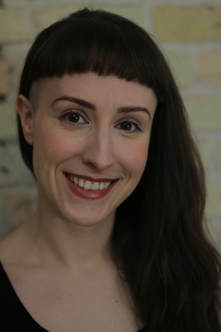 Robyn Thomson Kacki is a dance artist based in Winnipeg. She is a company member with NAfro Dance Productions under the Artistic Direction of Casimiro Nhussi, and has had the pleasure of performing with the company since 2009. She has had the privilege of working with several outstanding artists, including Stephanie Ballard, Paula Blair, Susie Burpee, Odette Heyn, C.M., Gaile Petursson-Hiley, Tedd Robinson, and with the company @tendance/C.Medina in Graz, Austria. She is a founding member of Drive Dance, producing and performing in several performance series. Robyn is a graduate of the Professional Program of the School of Contemporary Dancers. She is an Artistic Coordinator for the General Program of SCD, teaches within the General and Junior Programs, and serves as a Rehearsal Director for the Professional Program. Robyn is deeply grateful to honour Rachel Browne’s legacy in her performance of Freddy.